Need another reason to get out of the city for a bit? Take a visit to Canaan Valley Resort -- it's just 3.5 hours from D.C., has fresh snow, an updated look and special deals. Whether you want to coast down the 1,200 feet of tubing lanes, take skiing lessons or enjoy cross- country skiing at the White Grass Cross Country Ski Center, Canaan Valley Resort has plenty of wintry fun in one location. All-day lift tickets start at $25; multi-day tickets start at $44 per person. Discounts are available if you order online. Special promotions include Heroes Day, Snow Days, and military discounts. If you're new to the slopes, you're in luck! 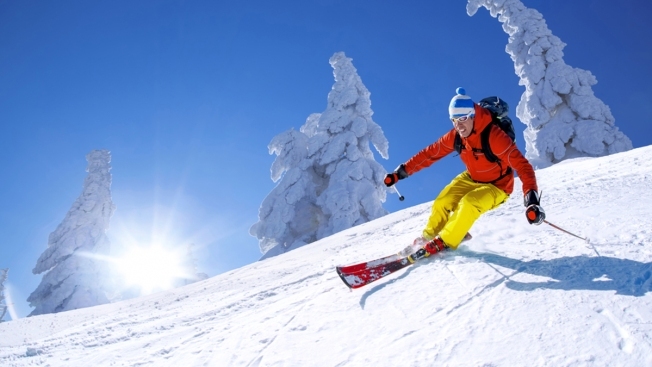 January is Learn to Ski & Snowboard Month at Canaan Valley. Tuesdays through Thursdays in January, you can take Introduction to Skiing or Boarding lessons. The $49 package includes a beginner lift ticket, a ski or snowboard rental, and the 1.25-hour lesson. You can upgrade your lift ticket to include access to the entire mountain for an extra $20. Reservations are recommended; call 304-866-4121 ext. 9-2630 to make yours. Minimum ages are 7 for skiing or 9 for snowboarding. Has it been a couple years since you've been to Canaan Valley Resort? A recent renovation has added two wings to the main lodge that now house 160 newly constructed lodge rooms and public spaces. Cabins and cottages are also available, starting at $119 per night. After a long day of skiing, you can grab a bite to eat at the Laurel Lounge, Seasons Cafe or the Hickory Dining Room.